Vegetarian Christmas food can be a bit underwhelming and nut roasts tend to be rather uninspiring compared with all the delicious meaty meals created at this time of year. 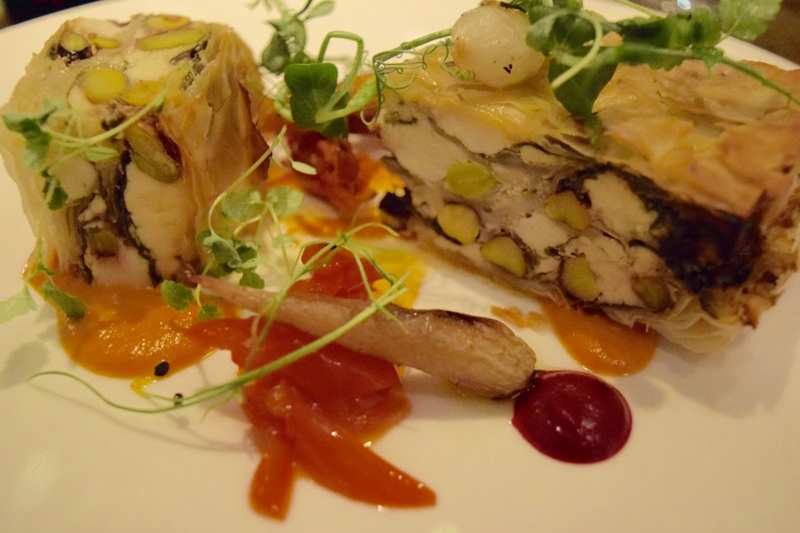 But on a recent trip to Simon Rimmer’s Earle restaurant in Hale, I was treated to one of the best festive veggie meals I’ve had. Simon was in the kitchen and he came up with a four-course gourmet menu that I think would tempt even the most committed carnivores. 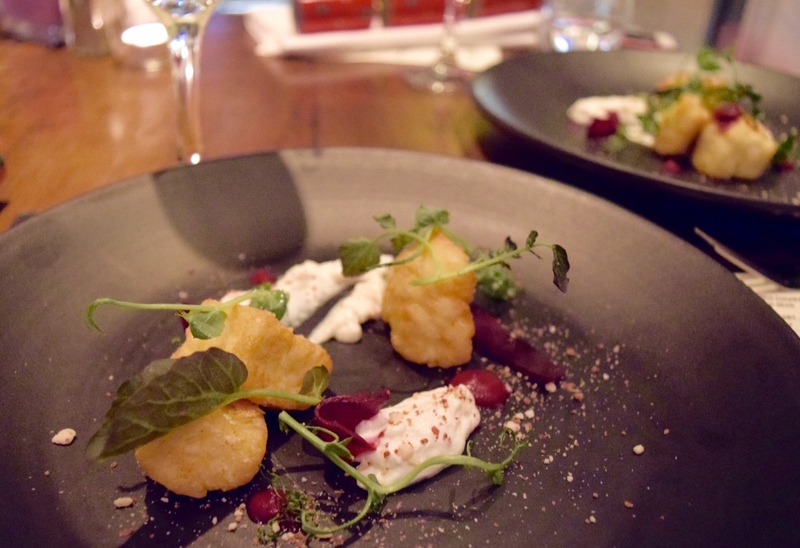 We started with crispy halloumi, with a roasted peanut crumb and served with pickled beetroot and beetroot puree. The earthy beetroot was a perfect contrast to the salty cheese and a zesty yoghurt dressing completed this delicious dish. For the next course I cheated and switched a wild mushroom risotto from the veggie menu for a fishy feast on the meat menu. 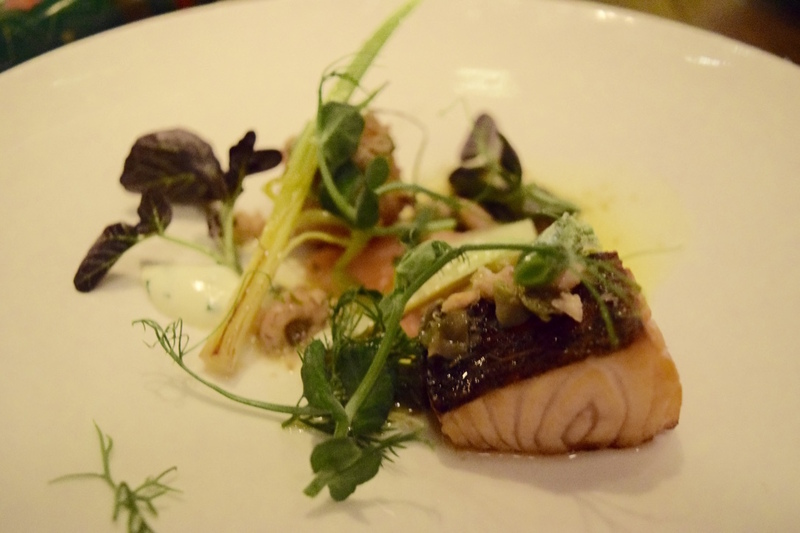 I couldn’t resist, as it was salmon served two ways; a cured and roasted fillet then a gravdlax cake, served with roasted baby leeks. The main course was the highlight for me and would be a fabulous alternative to nut roast on Christmas day (we’re pestering Simon for the recipe). It was a feta cheese, spinach and pistachio nut filo pie, with a festive red pepper jam and red onions. It reminded me of a Greek spanakopita pastry, but with added heartiness thanks to the chunky pistachios. 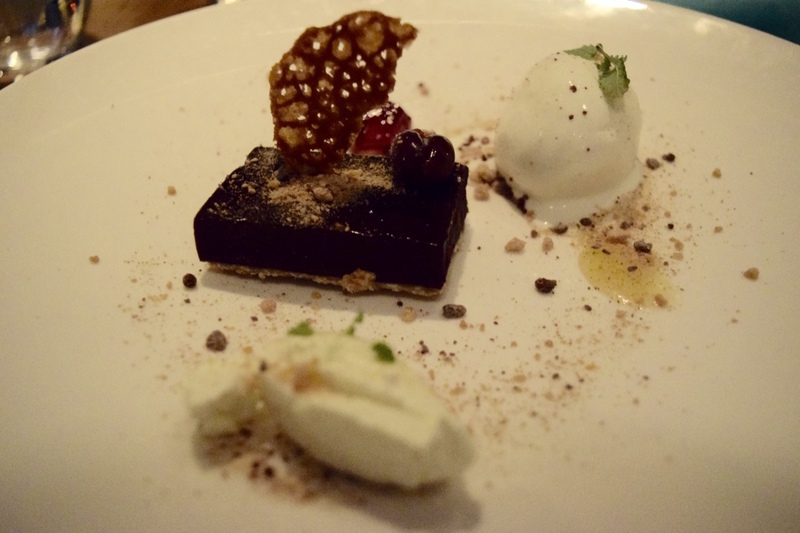 Completing the menu was a rich chocolate and orange tart, which came with all kinds of tasty treats on the side, including honeycomb, cherry vanilla jelly and vanilla ice cream. It was great to meet Simon and I’d definitely recommend trying to book at one of his gourmet nights, which are held quite frequently at Earle and his other restaurants around the North West.